Honestly, the Musée Rodin is my favorite museum in Paris– more specifically the gardens in the museum. Why deal with the huge crowds at the Louvre or Musée D’Orsay when you can pay 1 euro to explore the grounds at the Rodin Museum? The gardens are filled with Rodin’s sculptures (notice the Thinker) and you can bring your own picnic lunch while you enjoy the view of Invalides and the Eiffel Tower. As much as I love Paris, Italy definitely competes for a spot in my heart. How can you beat fabulous food (mmm… spaghetti alla bottarga), rich, buttery gelato, friendly people and beautiful architecture? Even though I was only in Florence for one night (and it was raining), I fully took advantage of everything Italy has to offer. One of my favorite casual restaurants in Hong Kong is MANA and I make a point of going every time I’m in the city. I always pass by this alleyway full of random knick-knacks. I love the juxtaposition of having a local woman climb the steep streets while being surrounded by touristy trinkets. I had just moved to Shanghai from Hong Kong for a new job. This was taken my second week in Shanghai after having dinner with a friend. I was sitting in my taxi and admiring the beautiful lit up view of the Bund. Then, it hit me. 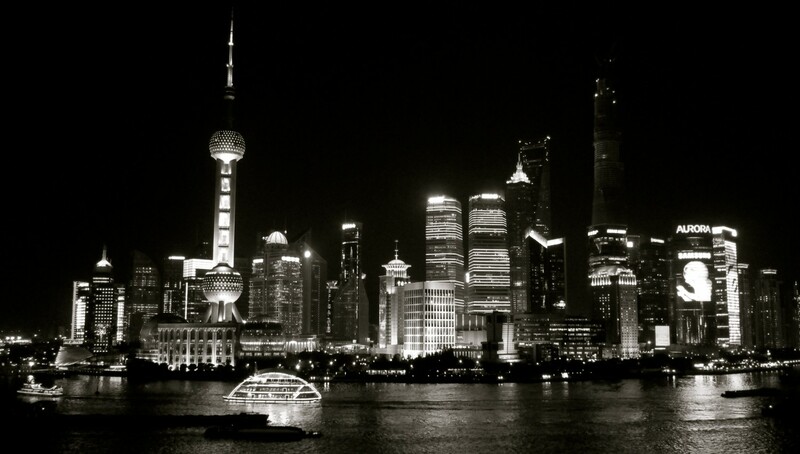 Shanghai is now my city and my new home. This photo captures the moment that I felt like I had finally arrived. I will never forget my apartment in Paris. I absolutely adored it and it was the most magical place in the world for me. I had the best view of Invalides and a cute patio with red furniture. It was literally what every girl dreams of when living the Parisian life. Nothing will ever beat having breakfast on my patio with fresh viennoiseries from the local boulangerie down the street, complete with Kusmi tea and mimosas. This is my definition of a perfect moment. If you enjoyed my pictures, feel free to follow my adventures on Instagram at rbjello. This entry was posted in China, France, New Beginnings, Paris, Shanghai, Travel and tagged About Me, beginning, Bund, Burj Khalifa, Central, China, Florence, France, Hong Kong, Instagram, Italy, Loire Valley, MANA, Musée Rodin, Paris, Shanghai, Travel. Bookmark the permalink. Can’t wait for the awesome memories that we’re sure to make in 2014! !